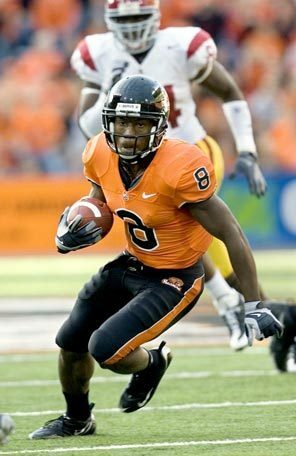 The down Pac 10 is a good thing for the Oregon State Beavers. Even with the loss of quarterback Sean Canfield and talented linebacker Keaton Kristick, the Beavers should once again contend. Speedy tailback Jacquizz Rodgers returns after gaining an All Conference Selection along with his brother wide receiver James also returns. On defense the star is tackle Stephen Paea with Kristick. In the secondary Suaesi Tuimaunei returns in his senior season. On special teams the Beavers have an underrated kicker in Justin Kahut another senior. Key Games: Sept. 25 vs. Boise State Quick Pick: The Rodgers brothers will try to conquer Moore and the Broncos. Boise State wins. 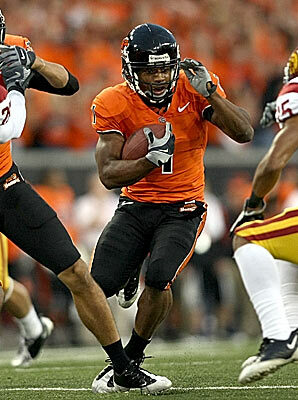 Nov. 27 vs. Oregon Quick Pick: The Civil War will be a ground war this time with Jacquizz winning. Oregon State wins. i would say nice blogs, but half of them have 2- posts. Just wanted to say hey to a fellow sports guy.